Anyone else try theH. erectus models in Carrara 8.1? So far, I haven't been able to get either the morphs or (DS) mats to load in Carrara for M4 or V4. Nothing happens when I use the M4 set, but when I try to load the V4 morphs, I get a requestor asking me to locate the Homo file. I haven't tried The Kids version. Others in here are far more knowledgeable in that department. Thanks to both of you. Yes, I just checked & I do have the Poser mats, & I just tried them out. The Poser one does apply to V4 but looks very shiny, possibly because I did the test render with just the default light and without applying the Carrara V4 skin shaders. Now to figure out what where to find the file/s it wants when I try to load the morphs. I did open a ticket, just in case something was missing. 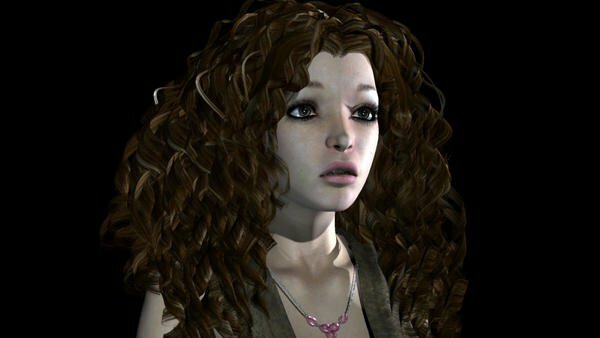 If I have to, I can do this character in Daz3A and import into C8. 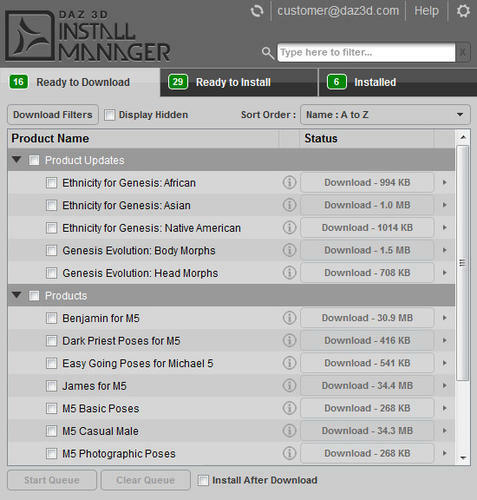 BTW, my downloads page only had (aside from Mac & metadata) the dpc installer, no ds. Many, of not most, MAT poses will do that in Carrara - it looks okay in Poser (I'm told) but it needs a bit of help in Carrara. Under V4 hierarchy, select "model" and enter the texture room. Open each skin shader and switch the value in the Highlight Channel to "None" (or simply change the color box to Black by clicking the tiny triangle on the lower right of the box. Oh man! Catherina (Mec4d) really makes this easy on us... check this out. Now go in and open your skin shaders. 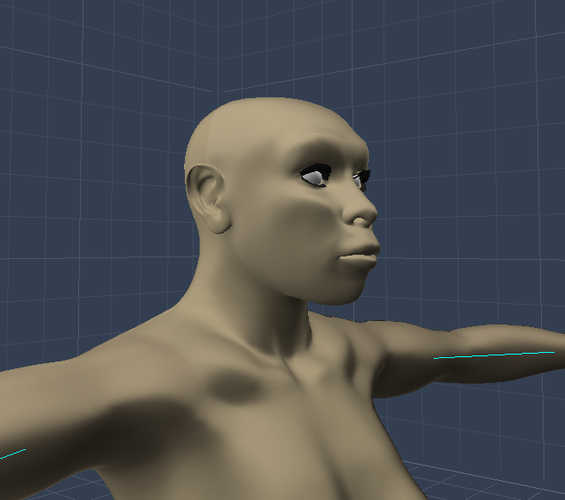 You're really concerned with three or four... Torso, Head and Limbs - but you may have another for lips, etc., Any of the shaders that have skin in their textures. In the highlight channel, change it to "Texture Map"
If it turns out too much gloss, go back to the image you just loaded and try cranking the brightness down to 25 or so for a first try - adjust from there. Now that I've shown you that trick, you might want to play with the other maps in there as well. For instance, you could try this for a really cool effect. I'm only guessing at the values, because I don't have Carrara up right now - just the folders I've shown you. Go to the Bump channel and change it to "Operators > Multiply"
You'll have a multiply shader with Source 1 and Source 2 now. Source 1 will already contain the bump map that Cat put there. Go to Source 2 and ad the corresponding map from the folder "displacement_maps" from the same structure I led you to for spec maps. With these two maps being multiplied it'll take a higher value bump. So click on the Top Shader so you can set the Bump value. You'll want to at least double the number that's there - but I like to go even higher - like 65, sometimes 100 or more. That might be way too much... so adjust to your liking. Some maps are different that others - they produce different effects - so we must experiment. Carrara doesn't allow for maps in the subsurface scattering channel. I think you may be able to try those in translucency if you feel like using sss... but without even going there... you'll have a great looking Homo Erectus V4 with just the advice already given. Now just set you background to gradient, and go to the render room and check the box by "Skylight" and hit render. This will use the gradient in the background as a light dome and let Global Illumination show you the way. For a great intro on that, check out Cripeman's Global Illumination Introduction, You're guaranteed to love it! Thanks again, & I love your very clear how-tos! Will give them a try tomorrow, since I have to work all afternoon & 1/2 the night today. Open each skin shader and switch the value in the Highlight Channel to "None"
Yes, I do this routinely with Poser content in Carrara. But I also routinely change the "Shininess" channel (I think, not on my Carrara machine at the moment) from whatever the Carrara Importer sets it to, usually about 10%, to "None". This helps more than the "Highlight" change in my experience. If you mentioned this I didn't see it. The reason for the difference is that each program has their way of handling shaders. When Carrara imports shaders ferom Poser it's making it's best guess as to how to handle them. For instance, I believe that Poser may just have a specular shader setting, where Carrara divides it in to two channels: Highlight and Shininess. Highlight and Shininess work together. The Highlight channel drives the brightness of the specular effect and the Shininess drives the spread of the specular effect. Sometimes the Poser style model will have a specular map, but because of the differences in the way Poser and Carrara work, many times Carrara will not load it. You can always manually load it. In my experience, maps work best in the Highlight channel and a numerical slider works best in the Shininess channel. Play around with it and find what works best for you! OK, good to know, thanks. In most cases, I am just trying to get the imported Poser content, say fabric clothing, to not shine like its made out of polished metal. So I typically start by setting both highlights and shininess to "none". This is invariably an improvement, but I may later go back and fiddle. Evil says it right there... but I'll give you a get way to remember how the whole thing works. Shininess channel controls the spread of light across the surface. Steve sets his to 0% which allows an even spread of light. This would be like light hitting a bed sheet hanging. Nice and even. Which in our terms means less gloss. The hood on the classic Weber charcoal grill is more like 8 - 12% I usually set Rosie's eyes to 16 - 18% as you'll see in the image below. I usually find that much higher than 20% may as well be 100% - so small of an angle of shine that it becomes hard to see. But some artists, I'm sure would disagree. I'm the down and dirty get it done with low render accuracy kind of guy. So. In a better nutshell. Highlight works with Shininess to produce the glossiness or lack of glossiness of your material. Highlight = 0% means no possibility for shine, no matter what you have your shininess set to. Remove the highlight and you remove shine without any further tweak. Same thing would happen if you cranked your Shininess to 100%. It wouldn't matter what you had your Highlight set at - because the 100% Shine Nullifies it. Sounds weird, huh. For super gloss, like Rosie's very transparent eye surface, I crank the highlight to 100% (pure white). And the work great for this - what you're doing here. She explains that, if you have maps (like what comes in Homo Erectus), to plug those in where they belong. her settings and suggestions for their change takes care of the rest! She gets into Subsurface Scattering, and all that good stuff - but man, is she ever down to earth! You'll love it. In the figure above, the skin uses a specular map multiplied by a 1-100% slider, which I have set at 6%. Eyes are another matter. I have spent a lot of time working on the eye shaders and a special light rig that stays with them. Very subtle light that just helps them look glossy all the time, but from the direction of surrounding environment rather than a specific place on the eye. Took a lot of messing around and just thinking when I should have been sleeping, lol! Wow! What a lot of info. Might take a bit for me get it all. And I will get those kits Dartanbeck mentioned. Now I just need to get the morphs to load. I still haven't figured out what the problem is or found that file Carrara wants. I've been all through my V4 runtime. What file extension/s should I look for & is it likely to be in the Geometries or Library folder, or elsewhere? Now, if I don't want to look in that folder, I can just open the manager, find the product - I can even conduct a filtered search in it, if I want, and I have the options to check the ReadMe, Uninstall, and it tells me whether metadata was installed or not - so I'll know if I should expect to see it in Smart Content. Want to know more? Read my whole experience as I went from knowing nothing about the thing - aside from the fact that it exists, to viewing the info page, through to the installation of my entire Daz Product collection from the store. No more hitting "reset" for me - except for software and plugins. I got a reply from Tech Support--the morphs don't work in Carrara, although it can be set up in "Studio 4.5 Pro, export in FBX format and then import into Carrara 8.x Pro." I don't have Carrara Pro, but am going to try it in my 8.1x. I'll let you know how that works out. Again, thanks for the mat & shader tips--I can use those on any project. And I just may try out that Install Manager. Had downloaded it but hadn't decided if I was going to use it until I read Dartanbeck's review. Can you point it to where you want it to install? The tech did say he also reported this as a Carrara bug, so maybe it'll get fixed someday. I hadn't though of keeping it in my runtime that way, thanks! With a little experimentation, I did get the V4 H. Erectus to load the morphs from within Carrara. When Carrara pops up the dialogue looking for Homo, search for the file I have highlighted in the screen shot. Carrara wouldn't even ask me to locate a file for the M4 version and I couldn't figure out how to manually load the file. FWIW I'm using Carrara 7.2 Pro. The shaders will have to be extensively tweaked.